I had invited a local plumber round on Monday morning to look at the possibility of fitting a larger drain-off pipe to make draining down the central heating pipes faster. I need to drain it down to enable me to disconnect old pipes that fed a radiator and connect the two new ones I have already installed for a new radiator in a different position. He arrived not longer after I had returned from doing a small job for someone and we discussed my requirements. He made a suggestion, actually the very idea I had in mind already and he went to the local plumbers merchant to buy what was needed. On his return fifteen minutes later we discovered that the parts he was going to use would not fit. The problem is that the old pipework is an Imperial size (that is measurements in inches) but all new pipework and fittings are Metric sizes. There are special reducers for connecting the different sizes together and I already knew this having changed our hot water cylinder about fifteen years ago when the other one sprang a leak. It is possible to break into the pipes I wanted to connect the drain to but the system would need draining to do even that! After some debate we both decided not to bother with that at this stage but perhaps leave any alterations until the summer when the heating is not in use. In the meantime I am resigned to using the existing 15mm drain connection situated on the boiler itself to partially drain the system down to the point where I will be connecting the new pipes. That means draining down two whole floors of radiators and pipes which might take some time. At least I know now where I stand. As the guy hadn’t done any work except removing the blank end from the existing tee piece where I had hoped to fit the larger drain-off pipe (and may do at a later time) to check the size, he only charged me £25 for his time. I gave him £30 for his time and advice, it was worth it. I think he was rather surprised though to be confronted by a female electrician who knows quite a bit about plumbing. So it was lunch time and I was about to prepare something when I got a call for a job. 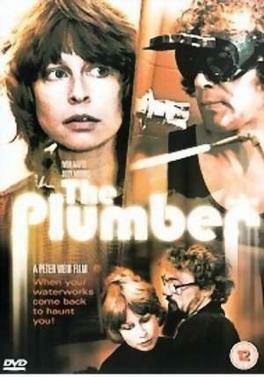 It more than paid for the money I gave to the plumber and soon I was back home. After lunch E went out shopping with her mum again, this time for Christmas presents and while she was out I sorted out some 10mm plywood from the various sheets we have stored in one of the garages and cut it to size for fitting on one side of the new studding I constructed in the bathroom a couple of days ago. I took it upstairs and fitted it. I wanted to use plywood on the shower side of the wall to make fitting the shower itself easier. I won’t have to worry about getting a good fixing to the wall as it will be entirely made of wood! I don’t need to fit plywood on the other side but may do so anyway as it will make the wall sturdier than it would be if I used plaster board. I have plenty of plywood in storage. I am thoroughly enjoying this part of the project as I love working with wood and constructing things with it.